Search for boat slip rental in Northern Vermont with the expert help from Jim Campbell Real Estate. Register with us to save your favorite listings, custom searches, and to get daily notifications when similar properties are posted. Contact us today for more information and to set up a showing. Boat Slip Lease Available for the Summer 2019. 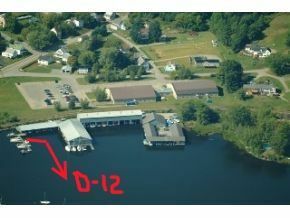 D-12 open Boat-slip on Lake Memphremagog. This slip measures approximately 24 feet long, ideal for a power boat, fishing boat or a sailboat up to 21 ft in length. Easy access to boat with 6 ft walkways and easy in/out water access. Limited use time of approx. May 15th to Oct. 15th. Includes rights to common areas, storage locker and full private bathrooms. Gas pumps and repair shop onsite. Available for $850. for the 2019 boating season (approx. May 15 to October 15). Call or email Ryan for more details.